When the time comes to build your dream home, it’s important to get the right elements in place. First, you need to choose the perfect site to build on or home to remodel. Then you need to find a company you trust to bring your vision to life. With more than 25 years of industry experience, J. Bryant Boyd is the design-build firm you can count on. Additionally, we believe that the most important element of the process is you! You are not merely a stakeholder in the design and building of your dream home, you are the boss. That’s why we get you involved from day one, incorporating your family’s wants, needs and dreams into the very design. Working with a design-build firm means we will be by your side through the entire process, from our initial meeting to move-in day. Don’t wait to love your home; call us today. Work with someone who knows Thorndale. Work with J. Bryant Boyd. 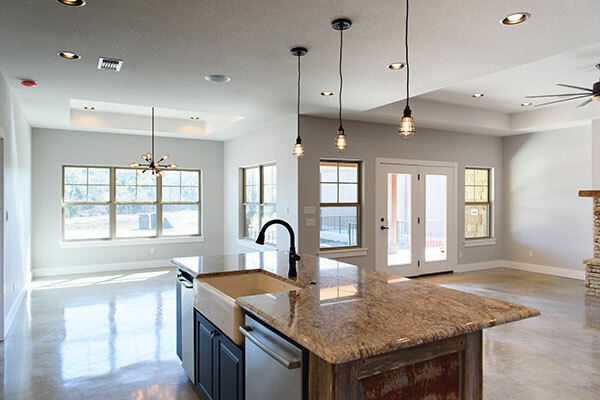 If you’re ready to build or remodel your dream home, we want to talk to you. To learn more about how our team can help you, call us at (512) 930-1686 or fill out our contact form.